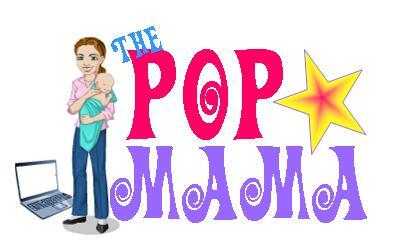 Pop Mama: All good things must come to an end? Well, it is a damn shame that the world will never know what the progeny of People's Sexiest Man Alive (Ryan Reynolds) and Scarlett Johansson will look like. The two have split after only a mere moment of marriage and it is sad to see another couple call it quits. The article in People said that there was no third party and that the couple had been "having some issues for a few months now." A few months? I hope there is more to the story than that, because as everyone who is married knows, having issues for a few months can happen...easily. Marriage is work. I actually feel kind of bad for Ryan Reynolds because the article stated that Scarlett was the one who initiated the split and he just hasn't been that lucky in love. Remember when he was engaged to Alanis Morissette? Now she is pregnant with some guy named SoulEye's baby. If Ryan Reynolds ever wants to come to my neck of the woods, I can certainly set him up on a blind date...with a fabulous girl who won't throw him over for a wannabe rapper! Another thing that ended recently was the TLC reality series Little People, Big World. It was time and the last episode was uber weak...basically the twins, Jeremy and Zach ponder moving out but decide against it for money reasons (give me a break) and Amy and Matt ponder selling the farm but decide against it (thrilling). There was an undercurrent running through the episode that hinted at a possible divorce in the making for Amy and Matt, which wouldn't surprise me at all. We'll just have to wait until the media breaks that story and then Amy can go on Dancing with the Stars, ala Kate Gosselin. And lastly, Vanessa Hudgens and Zac Efron split. Anyone? No, no one really cares. I mean, they are like 20 or something, did we expect them to stay together forever?